Webster defines develop as follows: "...to cause to expand or grow gradually." Here in Driggs, the valley is certainly developing, but there's nothing "gradual" about it; it's more like a race against some unseen clock. As an Economics major, I understand that it's all about supply and demand. As a citizen witnessing the change, it's a little unsettling. 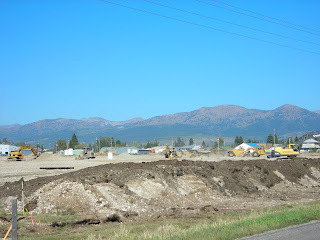 Teton County, Idaho's documented population grew 30% between 2000 and 2006, from about 6,000 to 8,000. What that figure doesn't reflect, however, are three other significant numbers: (1) second and third home owners who spend considerable time here, but do not claim the county as their primary residence; (2) illegals; (3) tourists. When combined, this is a large number of additional people, and probably pushes the real population of the county closer to 15,000. I know, we're talking relatively small numbers; there are blocks in Manhattan with more people. It simply feels dramatic because of the pace of change, and because the county's infrastructure hasn't kept pace. It's like this throughout the West, really. As the nation's population continues to explode - from 300 million now to 400 million by 2040 - this will become the norm. 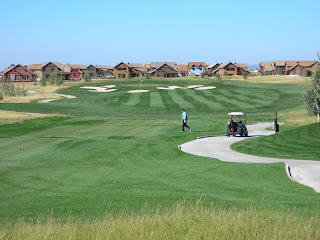 If an area is desirable, it's growing, and this brings challenges. 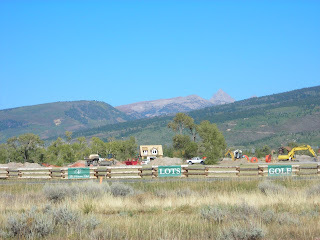 The two-lane Highway 33 connecting Driggs to Victor - which continues on to Jackson - has become clogged (I now almost feel safer driving through Salt Lake City on multiple lanes of I-15 than I do driving from Victor to Driggs, which is crazy). It's scheduled for reconstruction from 2010-2012, possibly (and hopefully) into a 4-lane divided highway with turn lanes. In the meantime, drivers merge, turn, slide and stop in increasingly tight spaces. 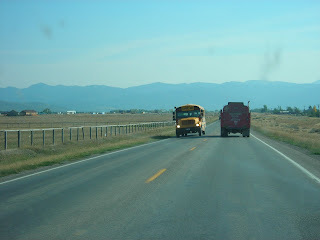 Driving between towns the other day, I was shocked to see a school bus actually stopping and letting kids off...right on the highway! As Bob Dylan said, times are a-changin', and the roads, water systems, sewer systems, power company, phone company, and landfills have their work cut out for them keeping up. In the end, Teton Valley still beats nearly anywhere else on the planet as a place to live, work and play. The scenery remains spectacular, recreation options are endless and nearby, and the quality of life and people here are unmatched. 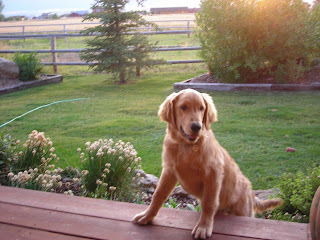 We're simply in the midst of an awkward adolescence, like my dog Bridger. With proper leadership and work, the infrastructure will catch up, available services and amenities will improve, and the final result should be worth the wait. It's time to go walk Bridger dog.